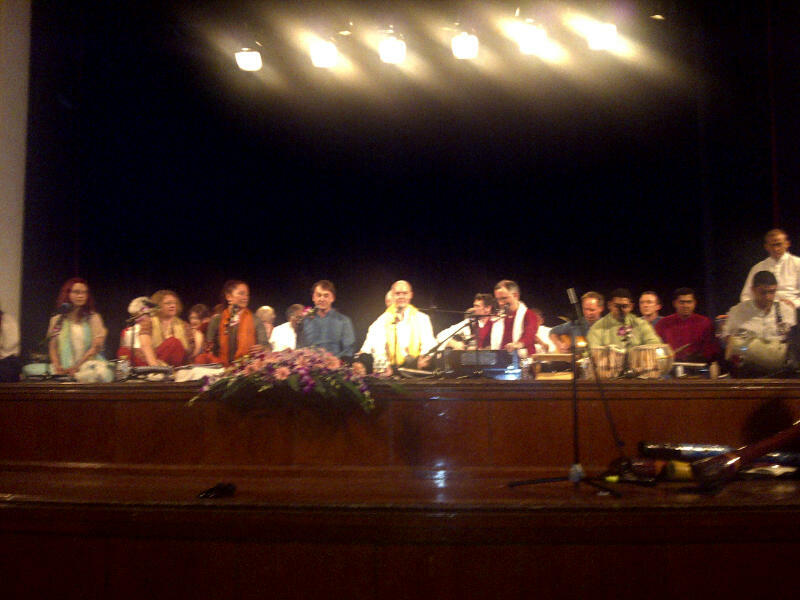 Nanjing concert… vibrations like that of a Puja | Realise the World! To find God and to remove all that prevents us from reaching God is the awakening to the greatest knowledge and the long sought after answers of all true seekers and their inner most purest desire. For the Sahaja Yogis fortunate enough to be a part of the China Tour and who made a conscious decision that for the next 16 days that it was not for the usual human pursuit that we would be pursuing that we were created but for a much higher purpose and calling. 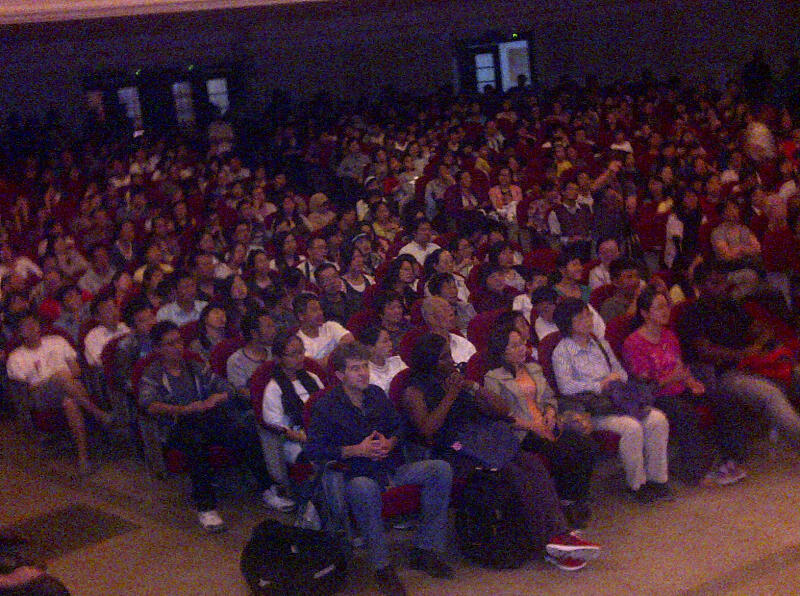 The favour of Shri Adi Shakti was shown to Her children of China where 1,200 received their enlightenment through Her grace, power and love. Self Realisation opened our imagination to the vision of God and it was a joy difficult to put into any words to see Shri Mataji’s love shine within the seekers of Nanjing. The mind can only know the outward appearance of things and Sahaja Yogis experienced a divine reality through the formless presence of Shri Mataji. 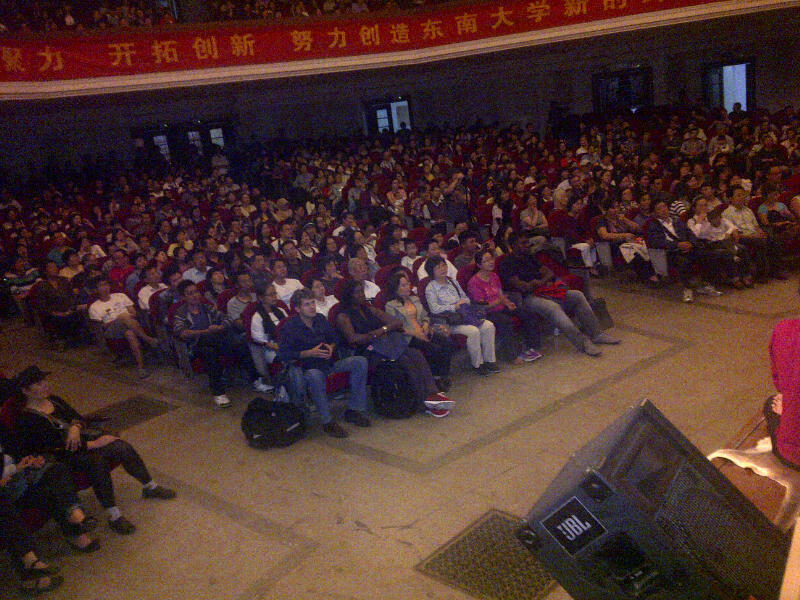 The vibrations and power of the Nanjing concert were like that of a Puja rather a public program. Our Mother would surely be pleased to see Her message taken to the people and seekers of China. To be a part of this is to be involved with something much greater than ourselves. Music of joy it certainly is, and shall be, as we continue our Tour of China. Just reading this message I’m getting full of vibrations! It’s so precious what you all are doing and thanks for sharing it! Let all the seekers there settle down in SY!